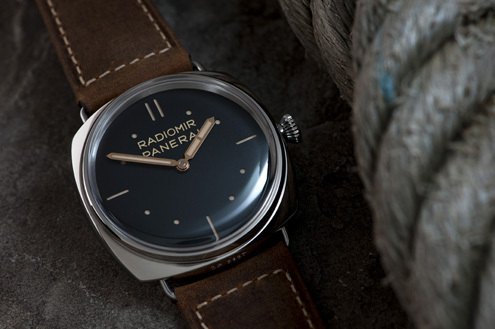 The one new 47mm Radiomir (part of the Historic Collection) that you can't find in my SIHH 2012 report, is the Panerai Radiomir SLC 3 Days 47mm. OP did not want that watch photographed at the time, because the prototype did not yet have the torpedo on the dial. However, I was allowed to take photos of the same prototype recently - even though still without the torpedo (a.k.a. pig) on the dial at the 6 o'clock position. For your information, S.L.C. is short for Siluro a Lento Corsa, i.e. the slow-speed torpedo that was used by the Royal Italian Navy. 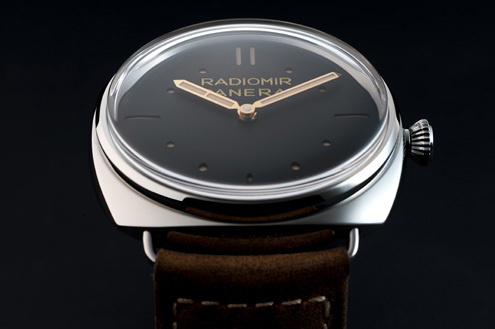 The vintage based dial is the same as that of the platinum PAM373 that was introduced in 2011. You can find further info here. The new PAM425 has a polished steel case and it houses the hand-wound mechanical, Panerai P.3000 calibre, executed entirely by Panerai. The movement is 5.3mm thick. The bridges can be seen through the case back crystal of the 47mm cushion shaped case. The screw-in crown has the OP logo on it. 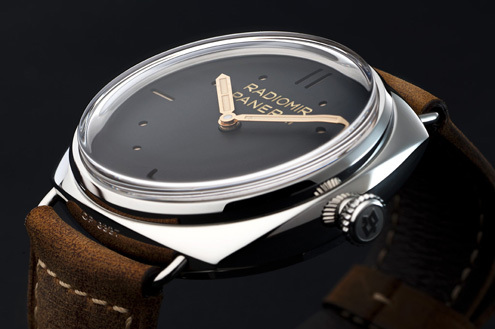 As opposed to most of the new special edition Radiomirs that were introduced in Geneva earlier this year, the PAM425 has a sapphire crystal as opposed to a plexi. The crystal is 2.8mm thick and it actually does look like a plexi. The crystal so to speak sticks out of the case which gives it a unique and vintage style look. The regular production PAM425 is very similar to the new special edition PAM449, but the PAM449 has blue hands and a plexi. 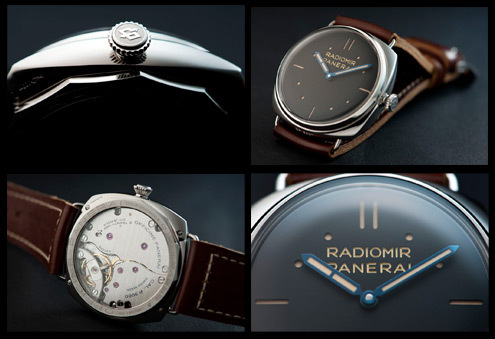 And only 750 units will be made in 2012 - note that the Panerai website still shows 500 units but that this number was increased. 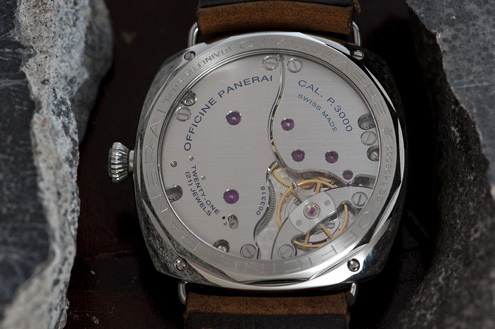 Special edition watches are only available through the Officine Panerai boutiques as of this year. 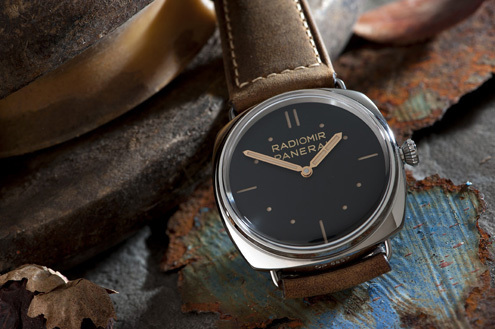 The regular production PAM425 however, will be available at both boutiques and AD's as always.